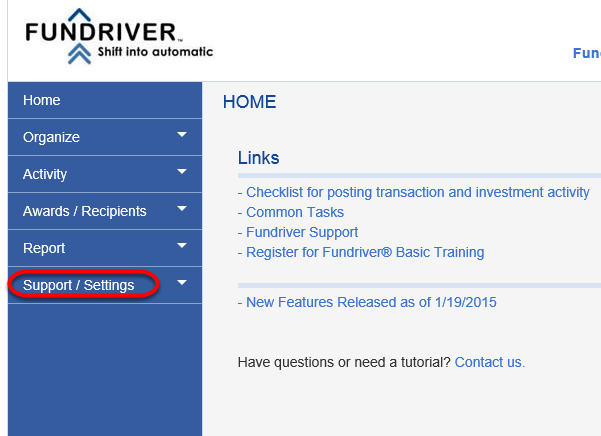 Step by step instructions for adding a new user in Fundriver application, as well as configuring new user roles. 3. 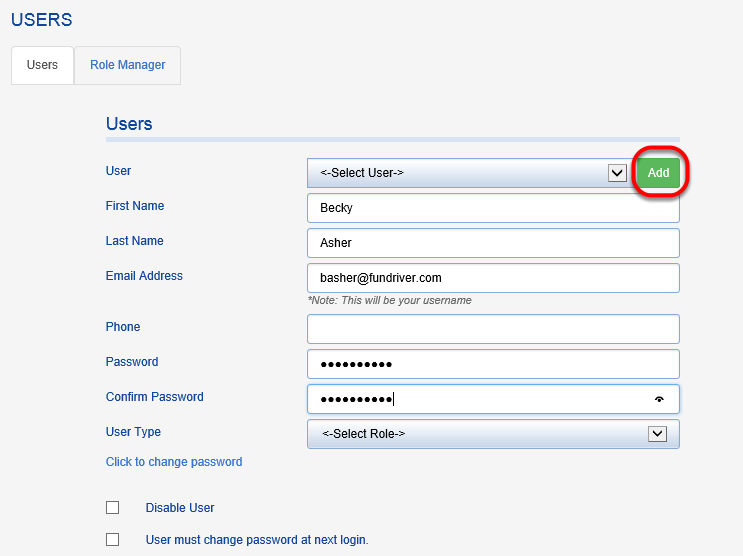 Click on Add > Fill out form, including creation of password. 5. Click the box that requires users to change their password. 7. 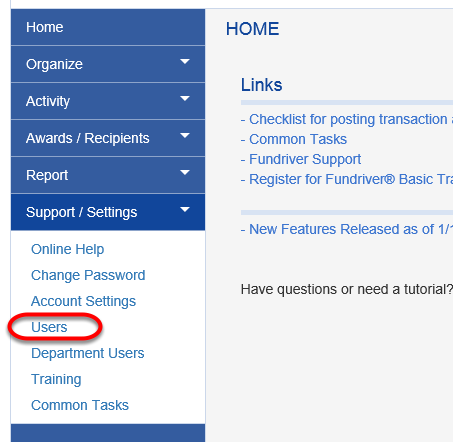 Provide the temporary password and the login address (go.fundriver.com) to the user (no automatic email will be sent).